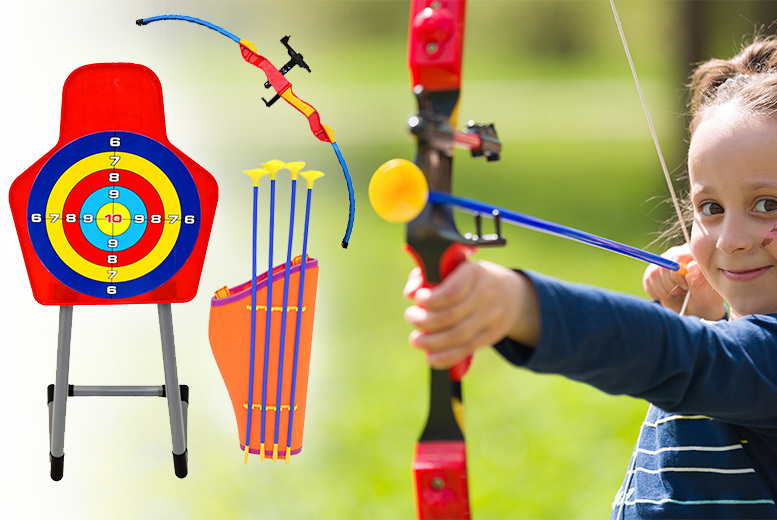 Get a kids’ bow and arrow archery set. Set includes target, bow, quiver and four arrows. Bow includes a handy laser sight to help hit the target easier. Target Dimensions: 100 x 35 x 45cm Perfect game to develop a child’s agility and coordination skills. An ideal gift for both indoor and outdoor use.